Google isn't releasing a Nexus tablet this year, and the Pixel C isn't going to be out until some time in the next few months. 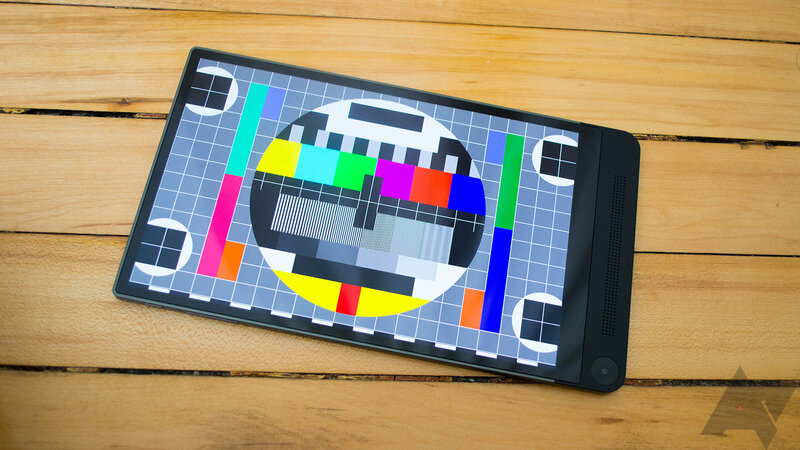 If you simply can't wait to get a new Android slate, the Dell Venue 8 7840 is on clearance at Best Buy for a good price. $279.99 gets you the tablet new in box, and an open box item is $250-260. The Venue 8 has an 8.4-inch 2560x1600 OLED display, 16GB of storage, 2GB of RAM, and an Intel Atom SoC. Around back is an array of three cameras that comprise the Intel ImageSense system. It's supposed to do depth-sensing and let you measure things, but it's not very good. The reason you buy this tablet is that it's super-thin. It's only 6.1mm thick and 305g. Dell managed this by shifting most of the electronics to the bottom larger bezel. This device got an update to Lollipop earlier this year, after several months of delays. Since it's on clearance now, Dell is probably about ready to stop caring about it. Just fair warning, future updates are not likely. The new tablets are all $279.99, but open box items are a little cheaper. It'll vary, but Best Buy is currently listing $251.99 and $259.99 for open box.